FRANKLIN, TN–(Marketwired – July 15, 2016) – On July 15, users of the key streaming services will find a hub dedicated entirely to classical music. unCLASSIFIED (http://unclassified.com), a new playlisting brand, similar to that of major label-owned Digster, Topsify, and Filtr, will curate innovative, dynamic playlists on all of the major streaming platforms, including Spotify, Apple Music, Deezer, YouTube, and Napster. Listeners will find a variety of classical (and sometimes non-classical) tracks, skillfully curated into playlists that are digestible and accessible to the curious listener. unCLASSIFIED is an affiliate of the Naxos Music Group, the world’s leading independent classical music label and distribution network. “unCLASSIFIED was created to be the ‘go to’ brand for classical music listeners on streaming services. Classical music discovery is relevant to all music consumers — not just for the core classical music fan. Through massive catalog availability and expert curation, unCLASSIFIED can reach all streamers of classical music, aiding in discovery and engagement by both new and existing classical music fans,” said Jeff Van Driel, CEO of Naxos of America. unCLASSIFIED will allow listeners to choose the soundtrack of their day, whether it be mood or activity-based, or driven by discovery. For example, the brand’s most popular playlists on Spotify are: Brain Fuel – Classical Music for Studying, the Need to Know series, and Listen to This: New Releases in Classical. These playlists and many others are updated weekly, ensuring that listeners hear fresh, new music on a regular basis. The team at unCLASSIFIED works with both label partners and artists to extract catalogue gems that may be unfamiliar to even the most seasoned of classical fans. unCLASSIFIED will also provide a platform for artists, conductors, composers, and ensembles to promote their own recordings and share their favorite and most influential music. Artist and composer Maya Beiser, and labels Sono Luminus and Innova will be the first to impart their favorite music with unCLASSIFIED users. “It is great to know that Naxos is taking the very important initiative of creating a playlisting brand like unCLASSIFIED. We at Sono Luminus are certainly excited to contribute and do our part to help make this venture a success,” said the label’s CEO, Collin Rae. 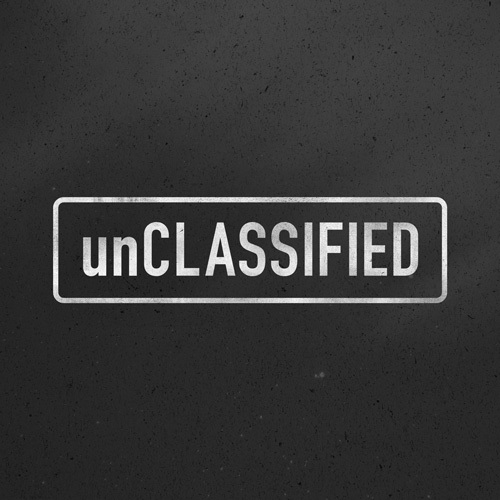 For more information about unCLASSIFIED, please contact Katie Ferguson, General Manager, at kferguson@naxosusa.com. unCLASSIFIED is an affiliate of Naxos Music Group, the world’s leading independent classical music label and distribution network. Please visit www.unclassified.com.